Discussion in 'Calibration, Help, and Troubleshooting' started by Chase.Wichert, Mar 26, 2016. 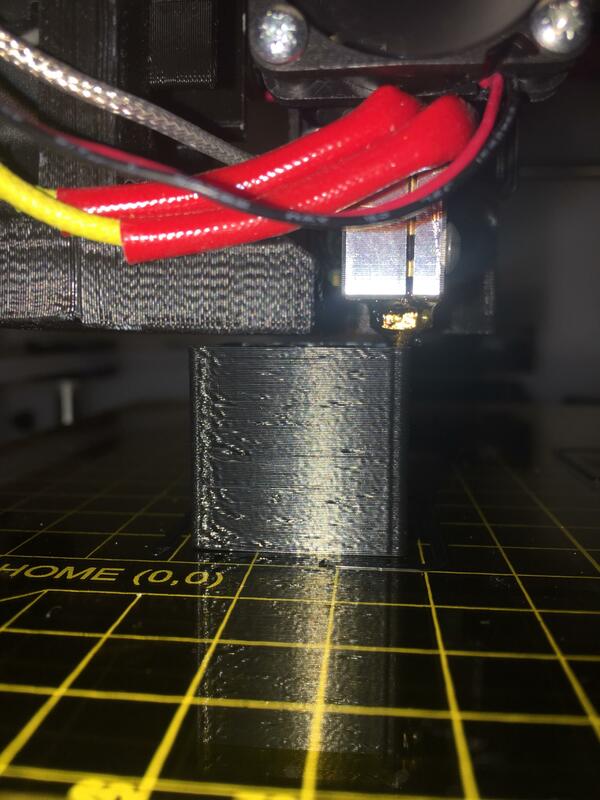 Okay, I am trying to print with the 1.2mm volcano nozzle, everything is great except for where it starts the new layer, there is a giant gap. 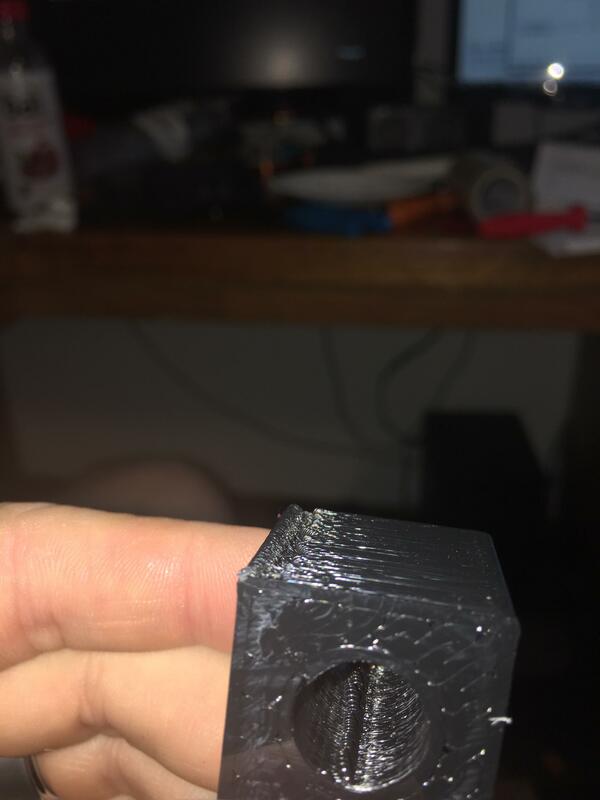 Not sure how to fix this, I turned retraction off, I tried 0 retraction with extra restart distance, all it did was make huge globs on the start and stop on the inside, but not where it starts a new layer. Do you lift z on layer change? 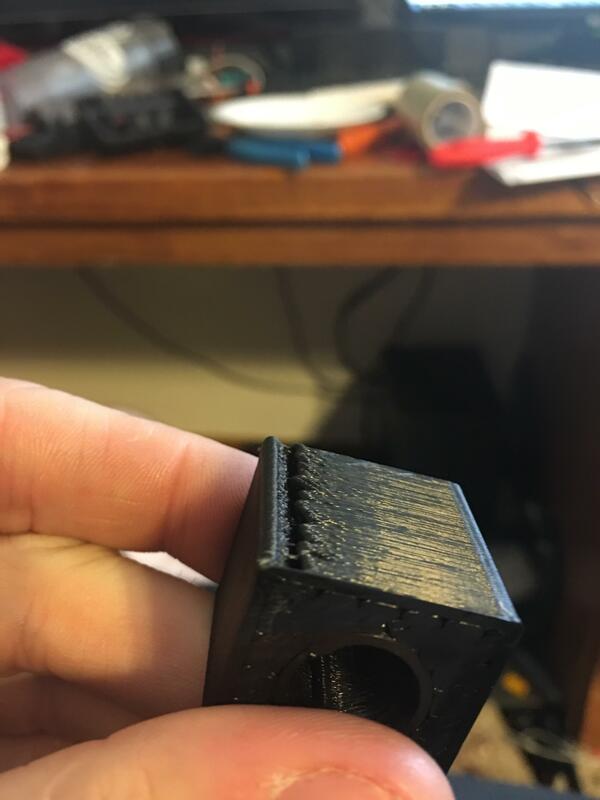 I've had bad results with that on other printers and usually turn it off. Looks like the filament is drawn away. Perhaps it also still needs more cooling? If you use S3D, could it be that coasting function? It' also possible that speed difference between inner and outer perimeters is to high, thus causing a jump in pressure. Coasting is off, and it also does it starting on layer one.. The disable force retraction at layer change helped a bit, and I believe inner and outer perimeters is the same speed, if I amunderstanding you right. Yes, you understood right. I think the bigger meltzone is more sensitive to fast changes in extrudation, like flying a jumbo. Seems to me really ok, compare that to the fan part above. 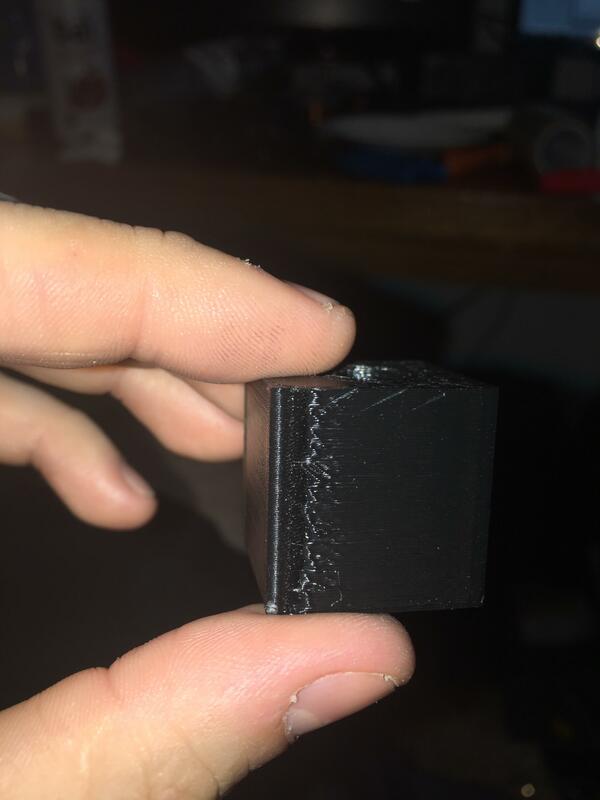 Could also be a slicer issue, have a look into the volcano thread. I would try the same part with slic3r to see if there's a difference.